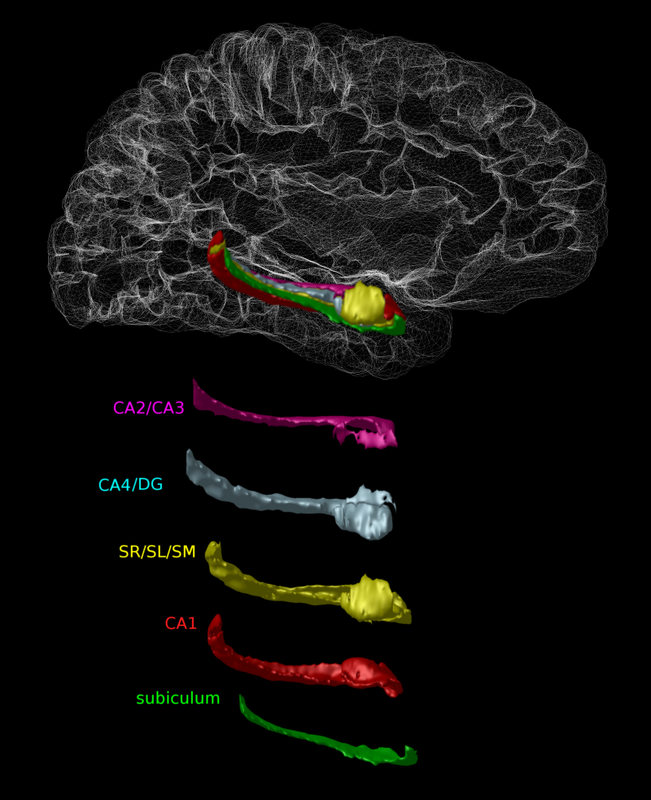 The Computational Brain Anatomy (CoBrA) Laboratory is located at the Cerebral Imaging Centre at the Douglas Mental Health University Institute (Verdun, QC, Canada; affiliated with McGill University). Our laboratory is interested the anatomy of the brain and how it matures through adolescence, how it stays healthy through the normal ageing process, and how alterations in brain anatomy are related to neurodegenerative disorders such as Alzheimer's and Parkinson's disease and neurodevelopmental disorders such as schizophrenia. To do so, we use and develop sophisticated computational neuroanatomy techniques that are able to automatically parse the geometric complexity of brain anatomy. Our group is a multi-disciplinary group of neuroscientists, computer scientists, engineers, and physicists all working towards a common goal of improving our understanding of the structure-function relationships of the brain through health and illness. We publicly disseminate much of the algorithmic and atlas work that we do in an effort to promote open and reproducible science. We are delighted to announce that research from our group is once again being highlighted. Check out the article below highlighting Nihkil Bhagwat’s work (along with the work from other researchers) using Artificial Intelligence to diagnose cases of Alzheimer’s Disease early and accurately. We are so pleased that this incredible work is getting noticed! Check out the link here for more information about training Artificial Intelligence to predict Alzheimer’s Disease. We are pleased to announce that our work is being highlighted on the FRQS website. Nikhil Bhagwat’s impressive work in machine learning and Alzheimer’s disease is currently being featured on their Impacts of Research webpage. Congratulations to Sejal on receiving a Ph.D. in Neurogenetics! The CoBrA lab would like to congratulate Sejal on graduating with a degree of Doctor of Philosophy in Neurogenetics from the Institute of Medical Science of University of Toronto! Sejal completed her doctoral thesis entitled “Integrating Neuroimaging and Genetics Data in a Bioinformatics-Based Approach for the Study of Alzheimer’s Disease” in January 2019. Her work focused on integrating existing tools to prioritize influential genetic variants and associated neuroanatomical measures in order to tease apart the etiology of Alzheimer’s disease and be able to use these markers in a predictive analysis of Alzheimer’s Disease progression. Sejal will be starting a post-doc with Dr. Leon French at Centre for Addiction and Mental Health. With Dr. French, she will be taking a neuroanatomical focus in integrating methods for drug enrichment and discovery from depression genome wide association results using existing transcriptomic datasets. In addition, identifying potential brain regions and cell types for targeted therapies in major depressive disorder and applying these methods to other complex brain disorders such as anorexia nervosa and schizophrenia. The CoBrA lab wishes her the best of luck in her future endeavours! 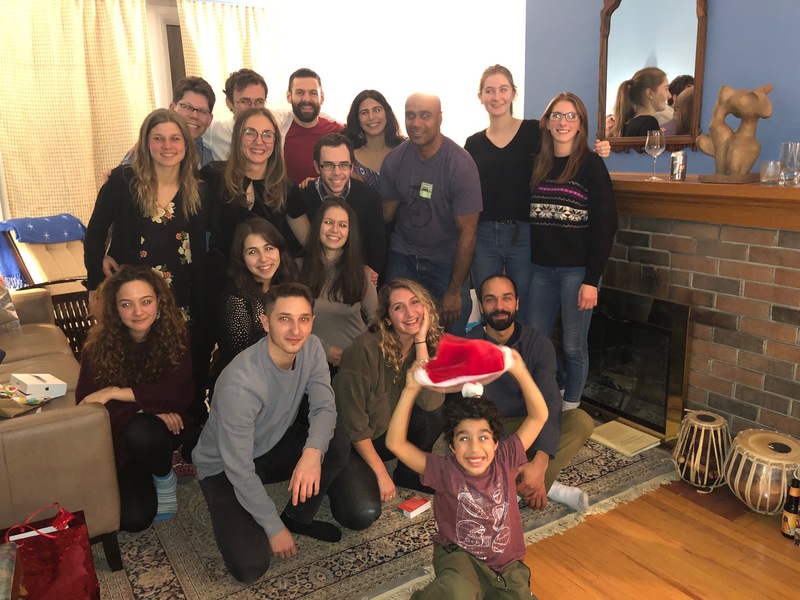 Happy Holidays from the CoBrA Lab!